16mm found film (silent), film projector, screen. 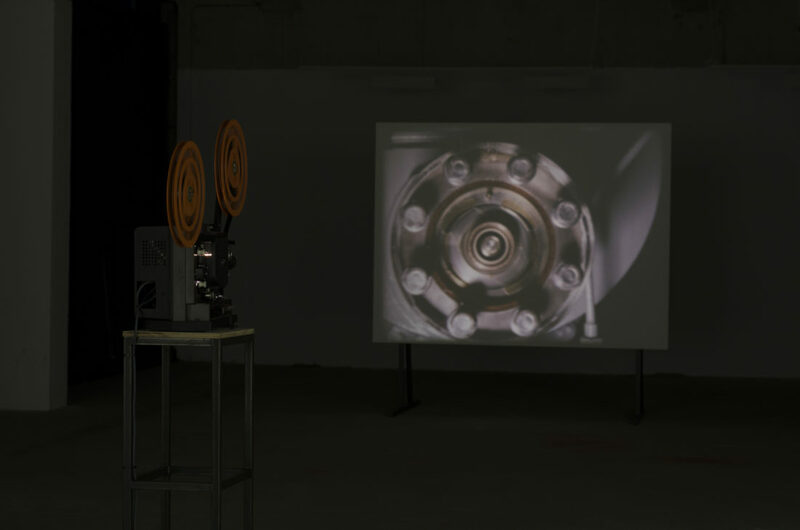 This work is structured on one second 16mm film fragments, selected from many hours of found instructional films on mechanical engineering dating from the 1970s. These images alternate with black leader film stock of equal duration. Through a laborious process of cutting and splicing of this found material, Film Material draws on tropes taken from avant-garde Structural film – also from the 1970s – from the Cut-Up, and from the procedures of early Conceptual art, re-constituting the fragments into new formations, with new affinities. Film Material was the centrepiece of solo exhibition MATERIAL(s) at Green on Red Gallery , Dublin, 1 Dec 2016 – 25 Feb 2017.